To use, simply soak them in a bucket of cold water for 1 hour (2-4hours before their first use), then apply to the leg for 20-30 minutes. The boots can be re-used multiple times. Ekylaxyl is an arnica-based gel, formulated by Audevard, to apply to stiff muscles, knocks or bruising. Capsiblist is a warming gel formulated by Audevard, containing Capsicum which when applied, produces local heat to stimulate the targeted area. 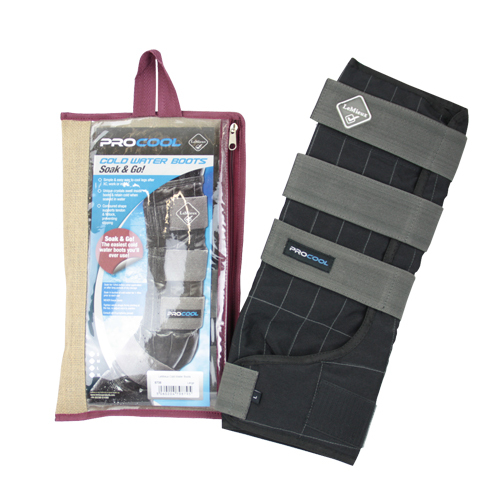 Robinsons Koolpaks are ideal for providing quick, effective cooling treatment to injuries, swellings, or simply after hard work. They don't need to be kept refrigerated & can be used instantly. They conform around your horse's leg & last for upto 1 hour.